This is perhaps the most existential question of all time. In yesterday's post about Christmas, one of my readers commented that my audience is filled with nonbelievers. What does that say about me, or the content of my blog? I'm not sure. :) So, it's time to take a poll. 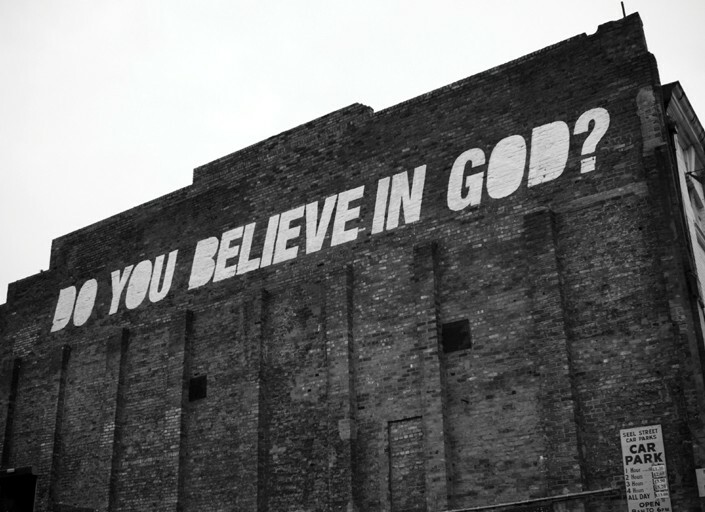 Do you believe in God or some other deity? What is the foundation for your belief or disbelief? Maybe some of you are undecided? I know many Russians don't like to talk about personal details, but it's interesting to know more about the strangers around the globe who read me. Please answer to help me understand more about the demographics of my audience. If you want to know my views on this topic, simply click on the "religion" tag in my blog to see relevant stories, and my opinion will be easy to decipher. Thanks and a pleasant weekend to all! Do I exist? Do I believe in I? Usually i'm asking back this questions - Which one of hundreds of gods? lol! And do these people come to your door with Bibles, as they do in the U.S.? They are usually young men, dressed in suits trying to convert unbelievers from the doorstep of their home. God (or some other deity) exists for the people who believe in it. Very simple. If I don't believe in God it doesn't matter that believers are wrong: they just live in another reality. Exactly. Very well said, I agree! Btw hello. :) Nice to see you here again. Although I remember one teachers assistant in my daycare was threatening us with "babayka"(some Bashkir folk person like a leprechaun) and I was very scared of the dark and since the light switches in Russia were very high on the wall my parents had to leave the light in the bathroom always "on" for me. Omg, I wish those women would come and knock on my door! I would have so much fun with their stupidity and bigotry. :) I went to a religious school my entire life, and we were also tortured with thoughts and threats of burning in hell, but somehow it didn't scare me. I guess because my parents weren't really religious, and they didn't reinforce this hysteria at home. My answer is: yes, it exists in my soul. But the next question will be: does soul exist? Or human being is just "a piece of meat"? I think, these two questions (about God and soul) are closely connected to one another. If I admit (feel, percieve) the existence of some un-material or subtle-material thihgs, then the idea of God will logically follow. I think a human is definitely much more than a "piece of meat"! :) And I definitely believe in the concept of a living soul, or spirit that exists long after we leave the Earth. I think that God has no faith in us. He doesn't know about us. I believe in God, Power of Сreation Universum, I believe in a strength of mind. I don't belong to any religion. Okay, thank you for the answer! Strength of mind - it is very important! 40 days of fasting, prayer and penance. If you'll be diligent, Jesus will return the possibility of using the "Insert Poll" button to you. I would never survive a fast for 40 days! I guess this is further proof that I'm a sinner! :) I'll never forget that babushka in the village who told me she prays for several hours each day. I wonder what she is asking God? I like the idea of reincarnation. It is truly fascinating! But who determines how we are reincarnated, and in what form? :) I don't even know what form I would wish to take in another life. Foundation? No need to believe. Russel's teapot. "Russell's teapot"...never heard of this analogy, but I just googled it. :) So, thanks for teaching me something new today! I don't believe in UFOs, Santa, elves, hobbits, tetans, gods, supernatural powers, black cats or any other crap that can't be seen or scientifically/logically explained. Don't see any reason to separate any one of these. It really cracks me up when Christians making fun of Tom Cruise with his bunch of crap, but then they find perfectly reasonable the other bunch of crap, including president, with control of nuclear arsenal, admitting they believe in old white guy in the sky (any other color won't do). Scary.